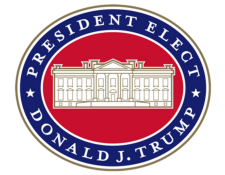 President-Elect Trump Announces Additional Agency Landing Team Members - Department of Defense: Michael Egan, Chris Hassler, Kendell Pease; Department of Education: Thomas Wheeler; Department of Health and Human Services: Scott Gottlieb, Eric Hargan, Nina Owcharenko Schaefer; Department of Energy: Martin Dannenfelser, Jr.; Department of Labor: Nathan Mehrens; Department of State: Andrew Peek, Herman Pirchner; Department of Veterans Affairs: Bill Chatfield; Environmental Protection Agency: Amy Oliver Cooke; National Security Council: Lisa Marie Cheney, Yleem Poblete; Office of Management and Budget: Russ Vought; Office of Personnel Management: James Imoehl; Office of the U.S. Trade Representative: Jeff Gerrish. President-elect Donald J. Trump and Vice President-elect Mike Pence today continued calls with world leaders to thank them for their congratulatory wishes. President-Elect Trump Announces Initial White House Landing Team Members; Reince Priebus, Don McGahn, Rick Dearborn, Katie Walsh, Sean Cairncross, Josh Pitcock, Jennifer Pavlick, Marcia Lee Kelly will be White House / Executive Office of the President. "The way we're going to design the plan is to get it as revenue neutral as possible. When you get tax cuts that filter down into the population, you'll pick them up on income taxes" Anthony Scaramucci said during a press briefing on Wednesday at Trump Tower "The idea is to use the tax policy to create more middle class jobs and create wage growth for the working class" Scaramucci said. "Another big thing about our tax policy is were going to repatriate trillions of dollars from off-shore of the United State, bring it back here to help our manufacturing base with an extreme focus on working class and middle class families"
Bharara, who was once lauded on the cover of Time magazine as the man who is "busting Wall Street," has in the past few years set his sights on prosecuting more than a dozen state officeholders, including New York's two most powerful lawmakers. And lately he has hinted that there may be more prosecutorial surprises to come. "I said I would absolutely consider staying on. ... I agreed to stay on," the quick-witted Bharara told reporters in Trump Tower after his meeting with Trump on Wednesday, adding that the billionaire businessman asked him to remain "presumably because he's a New Yorker and is aware of the great work that our office has done." The surprise meeting ended months of speculation on whether Bharara would stay on after President Barack Obama leaves office in January. Though others who have held his job have gone on to other high-profile positions, such as former New York Mayor Rudy Giuliani and current FBI Director James Comey, Bharara has repeatedly insisted in interviews that he has the job he wants. Retiring Sen. Dan Coats said he met with Donald Trump on Wednesday not to ask to be considered for a position in the president-elect's administration, but to discuss issues Trump will be facing. “I gave him some of my years of experience in terms of what I thought they would be dealing with and made some suggestions,” Coats told reporters after the meeting at Trump Tower. "I told them I would assist them, but I am not seeking a specific position." The Indiana Republican told reporters his areas of expertise include defense and intelligence issues, as well as how to get a Supreme Court nominee confirmed. “That's a major issue that the president's going to have to deal with,”Coats, 73, who also served as Bush's first ambassador to Germany, is retiring from the Senate at the end of the year. President-elect Donald J. Trump today announced his intent to nominate Steven Mnuchin as Secretary of the U.S. Department of Treasury, Wilbur Ross as Secretary of the U.S. Department of Commerce and Todd Ricketts as Deputy Secretary of Commerce. This team will be instrumental in implementing the President-elect’s America First economic plan that will create more than 25 million jobs over the next decade. President-elect Donald J. Trump today spoke with the Prime Minister of Pakistan Muhammad Nawaz Sharif and the President of Kazakhstan Nursultan Nazarbayev. Wrestling magnate Linda McMahon met with Donald Trump Wednesday as the president-elect continues to assemble his cabinet. "The meeting went great," McMahon told reporters in the lobby of Trump Tower in New York. "Anytime ... the president-elect of the United States asks you to come in for a conversation, you're happy to do that. We talked about business and entrepreneurs and creating jobs ... we had a really good conversation." When asked if Trump had offered her a position in his administration she told reporters to "stay tuned."